All eyes will be turned towards Istanbul this week to see how Fenerbahce respond after losing their first game in the Top 16 this season. Sitting with a 7-1 record at this stage of the season is no bad thing but Fenerbahce need to show that they can bounce back from the adversity of the loss. One thing that will give the home team confidence is the fact that they have defeated Zvezda on three occasions this season. 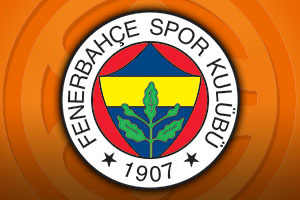 With 16 straight home wins in a row, you have to say that Fenerbahce will be confident about getting back to winning ways. Some of the key players for the Turkish side this season include Bobby Dixon and Bogdan Bogdanovic and they will be looking to stamp their mark on this game if they can. The 15-3 record for the home team is very impressive for Fenerbahce and Ekpe Udoh has been the key player with respect to grabbing points while Jan Vesely has helped to drive the team forward. You learn a lot about teams in how they bounce back from a loss and the Istanbul side will be keen to show that they have a lot to offer this week. The away team have a 10-8 record for the season so far, with a 5-5 score in the regular season and a 5-3 record in the Top 16. The side from Belgrade are in third place and they’ll be looking for a win to cement their place in the play-off positions. There is a need for Belgrade to reign in the leaders and if they do, there will be a belief that Group E is up for grabs this campaign but there is a need for an away win. The hosts are big favourites for this game and you can take Fenerbahce Istanbul at -10.5, which is on offer at odds of 1.90. If you are looking to take on the Over/Under market for this game, you should consider going OVER 154.5, which is on offer at 1.90. Bet Now!